← Wife’s Potty Mouth Cause of Interactions? 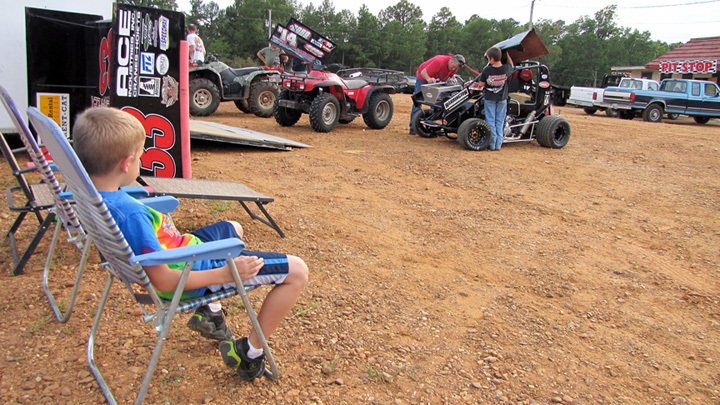 On Friday, July 27, Tammy and I took my nephews, Parker (12) and Junior (8), to watch their cousin, Rece (10), run some practice laps in his mini sprint car on a dirt track outside of Corinth, Mississippi. Below are some photos of that night. The link at the bottom is of Rece racing his Dad (55) on his final practice run of the night. Junior watching Rece and Anthony work on the car. Tammy would NOT have let us go in if she had seen this sign BEFORE we pulled into the pits. 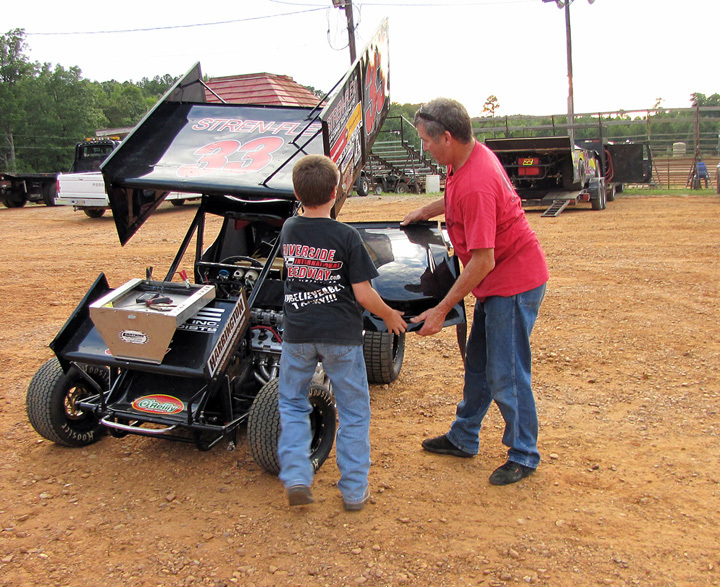 Rece and Anthony doing some pre-practice work on the car. 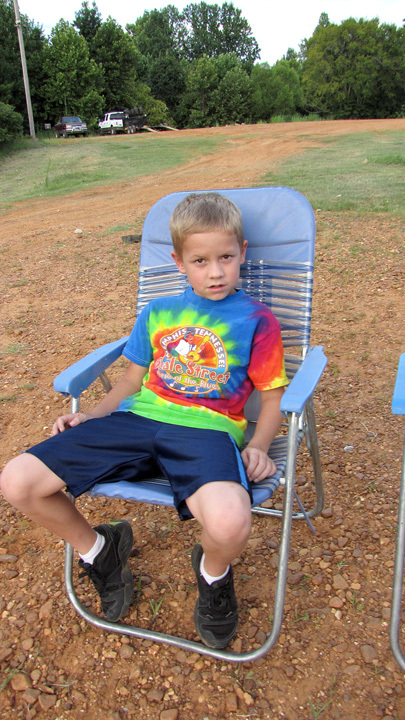 Rece waits patiently while Anthony makes sure he’s buckled in properly. Rece and Anthony try to stay cool as they wait their turn on the track. After Rece’s first practice run they ran into a some electrical problems. They got it fixed before his second run. 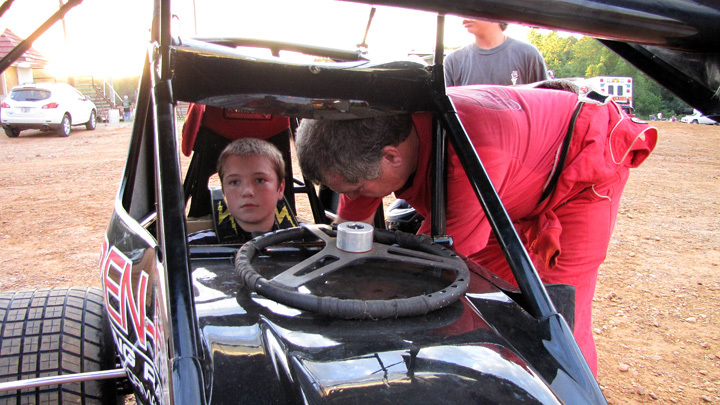 Rece lets Parker in on some of his racing tactics. 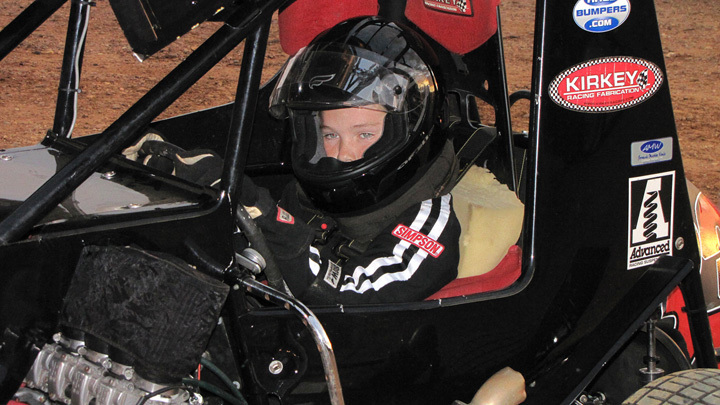 Rece waiting in his car before taking a few more practice laps. Rece is geared up for his final practice laps… against his Dad. Click the video link below to see how he did. 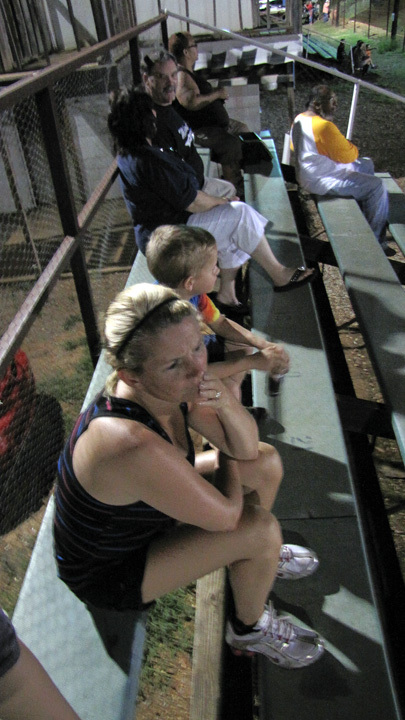 Tammy watches nervously from the stands as Rece battles Anthony on the track. 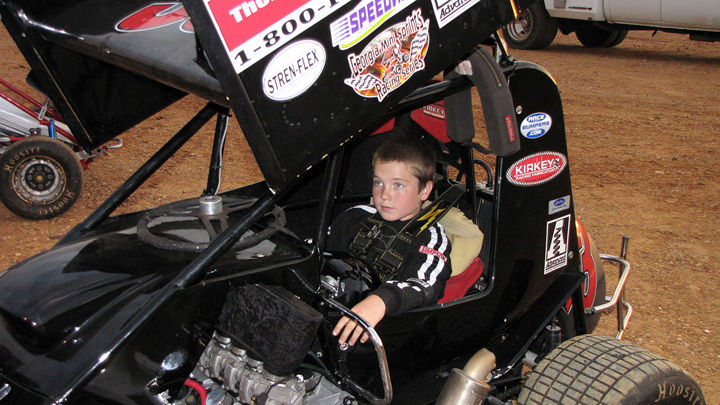 To see Rece how fared when he took the track against his Dad, click here. 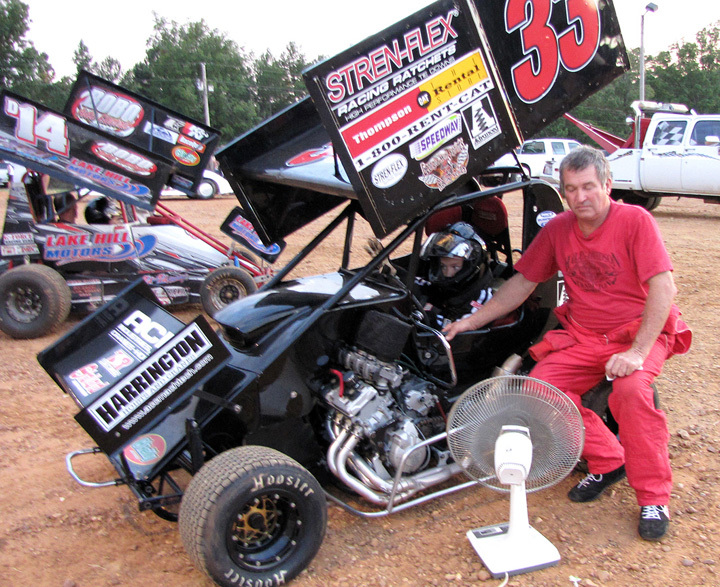 Gallery | This entry was posted in Daily Life and tagged Auto racing, daily life, family, humor, postaweek2012, racing. Bookmark the permalink. Poor Tammy. Did you drag her there under false pretenses? 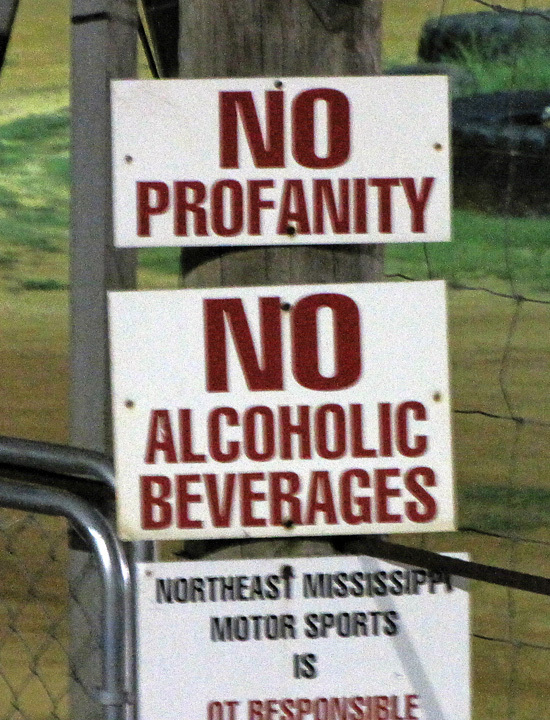 Haha… I didn’t know about the “restrictions” at the track until we got there so technically it wasn’t false pretenses. It was prolly a good thing that she couldn’t have alcohol because she REALLY getting into watching Rece and Anthony race. You can’t hear it on the video, but she was yelling, “Go Rece! !” when he was getting close to passing his Dad. hahaha.. I would have been tempted to yell out a profanity just because of the sign.